Anyone who owns a private jet needs a good operator to maintain the aircraft, perform administrative tasks and manage operations. Even those who are yet to call a jet their own but would like to change this are advised to select operators with care – ideally before making the purchase. Because an experienced operator will help select your plane and assist with handover, start-up and plane registration. But the question remains: How can you find the right operator? Some aspects can be assessed even before you contact the operator, such as for instance as the size of the company. The operator should be on one side big enough to provide you with good conditions, e.g. for insurance and fuel, but on the other hand should also be small enough to guarantee you personal service – and should be contactable 24/7. 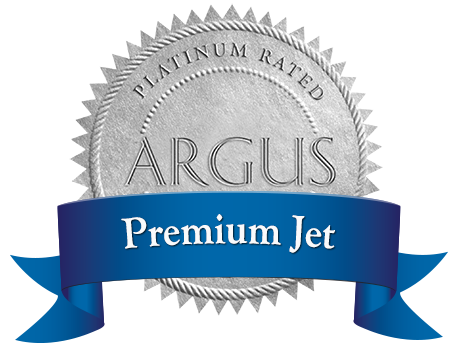 You can additionally check whether the operator holds an AOC (Air Operator Certificate) authorizing it for commercial flights, thus ensuring it is subject to the same legal requirements as an airline, and whether it bears an external quality seal, such as Premium Jet with the ARGUS Rating. Most operators place utmost emphasis on discretion. But still ask what the operator does to protect your privacy. This is how a trustworthy cooperation begins. This aspect takes top priority. So here, too, you must ask: How does the operator meet the high safety standards and what else does it do? How are pilots chosen and do they undertake regular training for critical situations? Also inquire about infrastructure, control systems and groundstaff. A company to which you entrust your plan should offer nothing less than excellent customer service. Consider your contact person carefully: There should be good interpersonal relations here, as you will be having lots of contact with one another. In the case of some providers such as Premium Jet, you can actually speak directly with the owners. An experienced operator will help you find the bank which offers you the best financing options. A good operator includes your plane in its fleet insurance, meaning you comply with all legal regulations, enjoy flexible coverage, and receive favorable conditions. Your provider should inform you in advance if any legal changes are taking effect – such as the regulation on Part-NCC, which had to be implemented by August 2016. Every country has its own tax laws, and a private jet owner must deal with tax rates and charges. The operator’s advice will help in these complex matters. If you fly – or can envisage flying – worldwide, investigate the flight routes. Not all operators fly worldwide. An “open book” company policy, which enables you to trace all financial transactions to the last detail, shows that the operator has nothing to hide. Want to learn more? Then check out our e-book on buying private jets.